Hi. Once again, there has been a long lull in my blog posts here. Not that most should notice, it’s just that pointing out my absence is an easy way to re-introduce myself on my blog. Since this is a book blog, I am pleased to report that the creator of this blog, who has a short attention span which is susceptible to the temptation of bite-size lifestreams, has still managed to cling to books. Writing about what I have read is another story. As it is, the writing will probably not catch up with the reading, so instead I list below most of my recent reads. I shall, however, still endeavor to write even short paragraphs for those books in the list which left more than a passing impression on me, and longer ones for those which really got to me. I should note that, apart from everything else, I find that the greatest threat to my reading time is Web 2.0. Being the geek that I am, it has been a big distraction. Of course, thanks to RSS feeds, there is also a lot of reading that goes on there. A lot of it is transient information, which combine to form a constant hiss of white noise. They are shiny objects, though, and before I know it, when I look up from examining them, I am wondering what has happened to my time. Be well, dear readers, and should the internet not eat me, I will hopefully be here again soon. We have to be gallant, people like us. No one else is bloody well going to be gallant on our behalf. Several months ago, I tried to convey my enthusiasm for Sarah Waters and her groundbreaking novels in my post about Affinity. Not long after I read Affinity, I naturally plunged headlong into The Night Watch. Since it is now many months since I read The Night Watch in October of last year, now that I’m finally sitting down to write about it, I’m quite surprised at how much of the novel has been retained in my memory. Rather than give credit to my rather good memory for this robust recollection, I will suggest—and this is what I believe—that it is more due to Waters’s storytelling prowess that I can remember so much of the story. As I tried to think about writing this post, many scenes and details and impressions from the novel came back to me without effort. As I’ve already said in that other post, The Night Watch is different from Waters’s previous three novels in that this one is set in World War II London and its aftermath, rather than in the Victorian era. It was a time of air raids, bomb shelters, black-outs, rations, black-market trade in meat, coffee, soap, liquor, cigarettes, stockings, etc. The story follows a handful of characters, immersed within the confines of wartime but whose desires and ambitions are otherwise universal, as they make their lives—which are intertwined intimately or casually—in post-Blitz London. But they are followed in reverse chronological order, beginning in 1947 and ending in 1941. The novel, in effect, begins at the end, and by going back in time from there, the question which is silently asked is one that many of us are familiar with: In astonishment, we ask, “How did I get here? This is not what I had imagined or set out to become.” And, like the novel’s plot devise, we try to linearly recall, in quiet or otherwise, events of the past and see their contrast with the present. Although the plot follows several characters, the novel belongs to Kay Langrish, a thirtysomething ambulance driver who, with her good friend Iris “Mickey” Carmichael, bravely drives through the bombed-out streets of London to either aid bomb victims or pick up bodies and body parts. Kay Langrish is the tale’s gallant hero, the one who makes selfless sacrifices, the one who rescues the damsel in distress with a courageously light and jocular heart, who acts tough but weeps at watching Fred Astaire and Ginger Rogers dance. As with other fairy tales’ likeable heroes, I wished for her a happy ending. The picture that Waters paints of post-Blitz London is painstakingly detailed. Several scenes are described so effectively that they make their point unambiguously. It is a case of stories so well told that they make a movie in one’s mind, and these details make the novel. I also could not help but get the impression that there were several political statements made in this novel, encompassing different issues which, even today, are relevant. In short, I think that what I have tried to describe in this post is really good literary fiction. Sarah Waters and her book, The Night Watch, were featured on National Public Radio in June 2006. Her latest novel, The Little Stranger, is scheduled to be released at the end of this month (Penguin/Riverhead). Read an extract from the novel on the Sarah Waters site. April is National Poetry Month in the U.S., and I thought I’d do my small part in celebrating it before the month slips by. 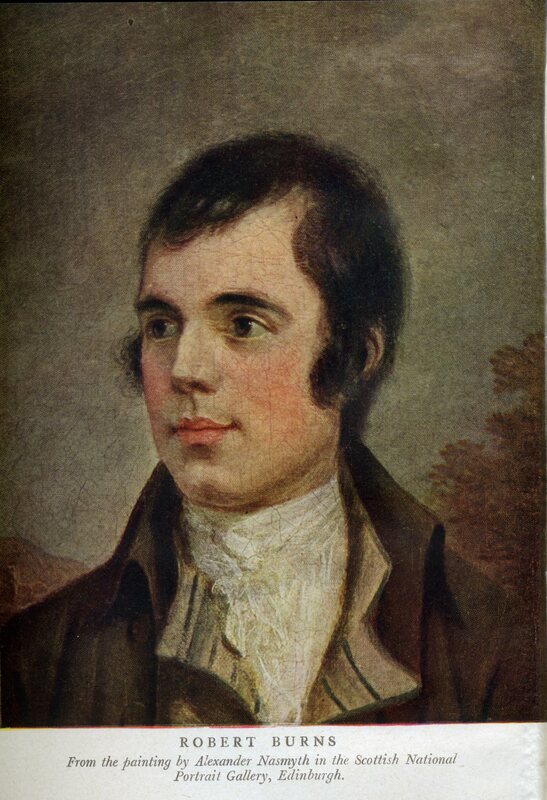 So here I’ll be featuring my latest adventure in poetry: Robert Burns (1759—1796), whose 250th birth anniversary is being celebrated this year. How did I “discover” good ol’ Rabbie? Well, you know how reading one book usually leads to other authors and other books? That’s precisely what happened here. I was reading a series of novels which (yes, it was a love story), surprisingly, led me to the man o’ the ladies himself. I was intrigued enough that I searched for Mr. Burns on my next foray at the used books store—the best place to find long-gone poets—and a gem did I find. For there in those slightly disorganized shelves of slightly musty books I found a nice, clean copy of Poems and Songs of Robert Burns (Souvenir Edition, 1960, Collins: London and Glasgow), edited by James Barke, and appropriately dressed in blue tartan. Can you hear the bagpipes? They don’t make ’em like this anymore. 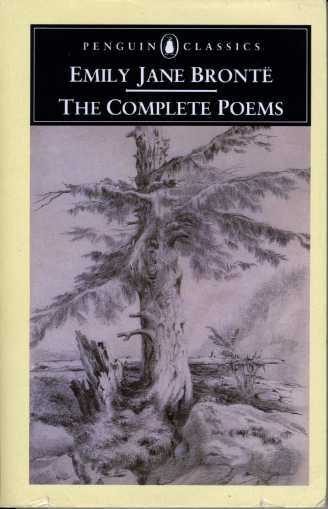 This handsome, hardbound volume claimed to have “the most complete to date” collection of Burns’s work. And, as I discovered, Burns’s body of work turns out to be quite substantial. The volume includes a brief introduction by Barke, the all-important index to titles and first lines which should accompany any collection of poems, and a glossary which is indispensable for understanding many of the regional words and spelling that Burns used. Besides the glossary, unfamiliar words are also regularly defined at the margins of the poems (for example, gowd means gold). Moreover, this souvenir edition includes 31 photographic images relevant to Burns’s life story interspersed throughout the book. In the introduction, Barke wrote of Burns, “He also loved women in the particular. He loved many women in his lifetime.” And so explains the many love poems that Burns wrote. But that is not the only thing he wrote—he wrote of many other things, as I discovered, the general impression which they left me being of a compassionate person. A compassion which apparently extended to hares and sundry critters. When I started perusing Burns’s poetry, it became apparent that they were best spoken with a Scottish accent. And since I could only fool myself for a few verses that I had one of those, I decided to search for an audiobook of Burns’s poetry. After sampling several readers, I finally found one that I liked: Gordon Kennedy. In this album, Kennedy’s sweetly expressive, lilting, and soothing reading of Burns’s poems is a pleasure to listen to. My only complaint about this album is that there is only one of it, and the 20 poems featured in it do not even begin to scratch Burns’s body of work. I leave you for now with a sampling of three of Burns’s poems, some lines of which are probably familiar to many of you. Until our paths cross again, fare thee weel, dear readers, fare thee weel! What though on hamely fare we dine. Ye see yon birkie ca'd "a lord,"
What struts, an' stares, an' a' that? Still here, but the odds were not really against it. Things tend to quiet down sooner or later and then I allow myself the luxury of doing things which I find creatively satisfying. While neglecting this blog I was learning other things, mostly about people, and I’ll leave it at that. I have also found myself in the delightful situation of reading multiple books at the same time. From Karen Armstrong’s The Great Transformation to Elizabeth Gaskell’s Cranford, it’s a wonderful, if self-indulgent, place to be for one striving to be literate. 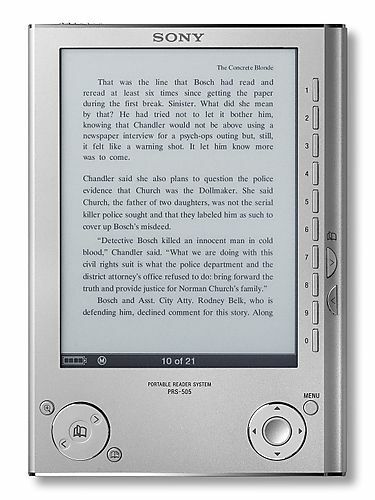 My recent acquisition of a Sony eBook reader certainly has a lot to do with that. So, yes, I have been reading, just not writing, and I have some catching up to do in the blogging department. I do have a few books wrapped up and ready to be blogged. I’ll be writing about these in the coming weeks. The short version of the reviews: I loved them all. In the meantime, how about a full-length movie? Yes, it’s Jane Austen—Ang Lee’s 1995 award-winning film, Sense and Sensibility, Oscar-winning screenplay written by Emma Thompson, who also co-starred in the film with Kate Winslet. It’s free and it’s legal. For now, it’s available only to U.S. audiences. Courtesy of Hulu. I first heard about this book on National Public Radio (NPR) a couple of months before it was even released in the US in late July, and therefore before it even got on any of this country’s bestseller lists, and it was mostly because of that brief radio spot that I decided to read it. Well, I’m glad I did, because it is simply a delightful book. I was guffawing from the first pages to the last. It was hard not to. The book tells the story of how thirtysomething writer Juliet Ashton, looking to find an idea for her next book in a ravaged post-war London, fortuitously finds herself corresponding with the colorful inhabitants of Guernsey—one of the Channel Islands—about their experiences with reading a variety of books during the German occupation of the island, as well as their more sombre wartime experiences. Thus begins a touching, often funny, love affair between Juliet Ashton and the colorful, sometimes endearingly eccentric, islanders. Not even absence from the island, as is the case for one of the central characters, precludes active participation in the collective love affair. And, as this is set during the magical era of pre-email, this budding love affair is nurtured in the warmest, most swoon-worthy way that love affairs can be conducted—through post. It made me wish computers didn’t exist (I still do sometimes). But besides evoking the warmth and charm of a bygone time when letters were thoughtfully and lovingly written and eagerly exchanged, the story is really about the love of books and reading, and what this love does for us—especially during times when sources of comfort, hope, and wisdom are rare—, and the indifference of good books to our different stations in life. The plot did have one quite mundane element in particular that potentially could have dampened my enthusiasm for the book, but I can forgive the authors that. My laughs more than excused it. Besides, there are cameo appearances in the story by some authors that I dearly love. And no, I place no significance whatsoever to the fact that the lead character’s initials are J.A. No, none at all. About the coauthors: This was the first and last novel of Mary Ann Shaffer, longtime lover of books who, unfortunately for us who have enjoyed her book and wish for more, died in February. In an interview with NPR, Annie Barrows, niece of Mary Ann Shaffer and herself a published author, said that her aunt, when her health declined, asked her to help finish the book—which had already been sold by Shaffer—for publication. I include in this post images of two different book covers: the first for the book published in the US (The Dial Press, July 29, 2008), and the second for that published in the UK (Bloomsbury Publishing, April 8, 2008). You’ll notice that the US edition has both authors’ names, while the UK edition only has Shaffer’s name. I was just curious why that was. Here is a review by Stevie Davies in The Guardian in case your interest has been piqued. The sentence of death had been communicated, as he suspected such sentences usually were, by grave looks, a certain false heartiness, whispered consultations, a superfluity of clinical tests, and, until he had insisted, a reluctance to pronounce a diagnosis or prognosis. The sentence of life, pronounced with less sophistry when the worst days of his illness were over, had certainly produced the greater outrage. I’ve read a couple of James’s whodunits, and each time this formidable author never failed to draw me into her stories. It’s not so much that James contrives mysteries with intricate plots—in fact I think her plots are elegantly simple—but that her writing is exquisite. And it is this catchy writing style which makes me keep turning pages at what for me is an unwonted speed. She is also brilliant at conjuring a sense of place and atmosphere, and seems to favor the romance of the English coast as the setting for her stories. And always for this author, there has to be a good dictionary by my side. For James, there is a word for every object and thought, and the appropriate adjectives to describe them. James contrived what for me is a most likeable sleuth in Commander Adam Dalgliesh, a detective at Scotland Yard who handles murder cases. Commander Dalgliesh is a thoughtful, feeling, sensitive soul, who is also a published poet, and who favors good literature and historic architecture, long country drives out of London, and a picnic lunch of bread, cheese, fruit, and wine. How can I not like such a sensitive and bookish soul? I’ve also happened to watch more recent Mystery! adaptations of a couple of James’s books, and so, inevitably, I picture Martin Shaw whenever I read Commander Dalgliesh. Which is all well and good since I think Shaw is perfect as Dalgliesh. In The Black Tower, Commander Dalgliesh is not quite his usual keen and robust sleuthing self. A recent reminder of his own mortality has prompted him to seriously reevaluate his career at Scotland Yard, and to come to some life-altering decisions. And so, when, while conscientiously answering a summons from a friend from his childhood, he finds himself surrounded by circumstances which his accustomed gut tells him are suspect, Dalgliesh painstakingly comes up with excuses to the contrary so as not to get himself drawn into detective work. He finds himself at Toynton Grange, home for chronically disabled patients, where he meets forlorn characters, and where more than one death have occurred recently prior to his visit. Creating more than a handful of suspect characters, James had me guessing up until the end, when a physically weak Dalgliesh must once again come to terms with his mortality, and come to a decision about his work. Great scenes at the end. Whoa! Emily Brontë, where did that come from?! As I was perusing this novel, I was just as intrigued by the person who wrote the story as by the novel itself. Who was this Emily Brontë who dared imagine and put into words this bold, brash, intense, in-your-face story? How courageous; how risky; how different; how honest. I like her. What is it about a good novel that gives us a connection with its author, even when the author is long gone and experienced a far different world from our own? I could read a recently published novel and would be indifferent about the contemporary author if he or she didn’t move me. But reading Brontë’s novel, I wished that I knew her, that I were alive when she was alive, so I could hear her innermost thoughts. And I couldn’t help liking the novel either. Brontë didn’t like to beat around the bush, or so it seems. I think she wanted to expose us, herself included, in the starkness of our ugly souls. I almost hesitate to call it a love story, because it’s as if that part of the plot was but a tool to showcase some of the worst consequences of a most passionate love. And yet I am envious, envious of Catherine and Heathcliff. I covet the connection that enables two people to understand each other so completely and unmistakably thay they feel like one. And yet the novel ends so that we see more than the ugliness. Ugliness begets ugliness, unless we find in ourselves a way out. The same emotional bond that destroys can save us. At this point in the story, Brontë threw me for a loop: After what has been a tumultuous plot comes in stark contrast the scene where Cathy is teaching Hareton how to read, and my heart leapt. Is the love between Catherine and Hareton less passionate than that between Catherine and Heathcliff? I do not think so. More sappy, perhaps, but maybe not less passionate; and one knew (or imagined) that they would love each other at least to the grave. I thought that the narration of the story was unique. There were actually two narrators: Nelly Dean, the servant who was witness to most events, and Mr. Lockwood, Heathcliff’s new tenant at Thrushcross Grange, and who seemed to be socially inept, especially with the ladies. What makes it remarkable is that Brontë switched between these two narrators at some points in the story, and I hardly noticed. For a story that was savage at some points and chock-full with intense emotions throughout, the narration was low-key, and I can imagine myself peacefully rereading this novel in the near future on some rainy nights. 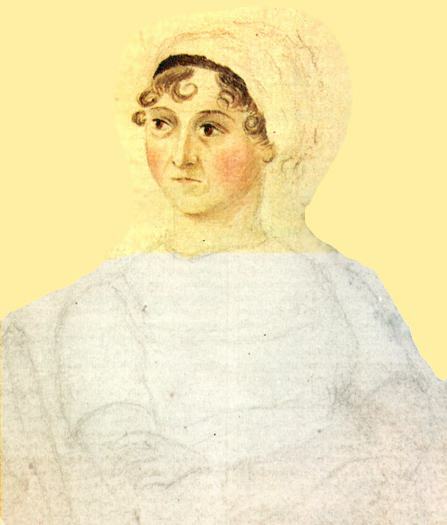 From Catherine Earnshaw to Catherine Linton; from Catherine Linton to Catherine Heathcliff to would-be Catherine Earnshaw; from Hareton Earnshaw to Hindley Earnshaw to Hareton Earnshaw, not to mention Heathcliff, just Heathcliff; from Edgar and Isabella Linton to Linton Heathcliff. Emily Brontë, oh how your imagination plays with us, and I love you. Finally, here is another of Emily Brontë’s poems. I include it because, since we are on the subject of deep and abiding love, well, it seems to fit. And because I like it. Where my soul went during that swoon I cannot tell. Whatever she saw, or wherever she travelled in her trance on that strange night, she kept her own secret; never whispering a word to Memory, and baffling Imagination by an indissoluble silence. She may have gone upward, and come in sight of her eternal home, hoping for leave to rest now, and deeming that her painful union with matter was at last dissolved. While she so deemed, an angel may have warned her away from heaven’s threshold, and, guiding her weeping down, have bound her, once more, all shuddering and unwilling, to that poor frame, cold and wasted, of whose companionship she was grown more than weary. Where to begin. Corny as it may seem, at one point while reading, to describe how I felt, forgive me but I came up with the words, “I have died and my soul has seen literary heaven.” This was somewhere in the beginning of Volume II, where the novel really took off in terms of Brontë’s writing and, from that point on, it never came back down from the clouds. I would describe Brontë’s writing in this novel as passionate, as if every thought was first felt before it was written. Brontë holds none of her writing talents back, as if she was saying, “Reader, you shall feel the full force of my genius, and I will not apologize for it. Brace yourself.” And the patient reader who is able to survive the brunt of this relentless force is amply rewarded. I also found myself blown away by Brontë’s profound observations and knowledge of human nature, which were all exquisitely expressed and written. Lucy Snowe is Brontë’s unlikely protagonist who doubles as our unreliable narrator. Lucy has neither beauty nor fortune, is lonely and prone to depression. She was once content to be shrinking, to be forgotten by the world, diffident and cowardly, until circumstances force her out of her comfort zone and to take steps necessary for survival, and then for the sake of budding aspiration and independence. For almost the entire novel, I was in heartfelt anguish reading about Lucy’s aloneness, but it was inspiring to watch her summon the courage to move forward on her own—I appreciated the novel most for these two themes. Yes, Lucy has a few friends, but friends, even good ones, just don’t cut it sometimes. …peril, loneliness, an uncertain future, are not oppressive evils, so long as the frame is healthy and the faculties are employed; so long, especially, as Liberty lends us her wings, and Hope guides us by her star. The story is set in Villette, capital of the fictional kingdom of Labassecour, where Lucy eventually finds herself as a teacher in a Pensionnat de Demoiselles, which might as well be a prison castle in a gothic novel (and the novel does feel very gothicy). But don’t be misled by what I’ve written so far into thinking that Villette is a somber tome in every way. The chapters, rather, take the reader on a roller coaster ride of ups and downs, lightheartedness and seriousness, hopefulness and hopelessness. My favorite chapter, Monsieur’s Fête, is in fact quite a funny one. Monsieur in this case is M. Paul Emanuel, Lucy Snowe’s eccentric colleague. Reading this chapter was like watching a romantic comedy film, only better. It was really funny, as well as touching, and it showed that Brontë had a wicked sense of humor. Why, the plot even satirically includes the ghost of a dead Nun. 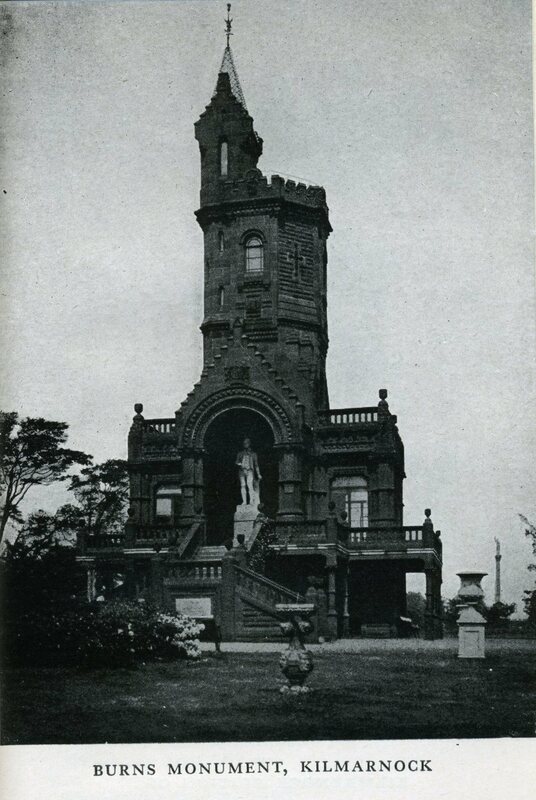 The novel has very strong anti-Roman Catholic sentiments (another gothic element? ), almost like a propaganda. At first, I was surprised about this. But then, I vaguely recalled my history lessons, and then I wasn’t as surprised. But then again, I’m still a little puzzled, and my question remains whether the strong sentiments could have been left out without doing harm to the novel. The ending. The notes at the back of my Penguin edition says that Charlotte had originally meant this novel’s ending to be written in another manner, but that her father asked her to change it. Well, Mr. Patrick Brontë, your daughter was doing very well, thank you, and you should not have intervened. I happen to think that the ending would have been much better if Charlotte had written it the way she originally intended! What on earth did Lucy Snowe tell Père Silas in the confessional? I suspect that Ms. Snowe told the priest more than she told her reader, and it is typical for Ms. Snowe, unreliable narrator that she is, to leave out this rather important detail! Arrrrgh! I briefly cringed at one particular point in the novel, when Lucy Snowe was offering “homage” to one who had been generous to her. I thought it was a bit much. Do you read French well? This novel has a lot of dialogue in French, so if you don’t read French well, make sure to get a copy which has full translations at the back or you will miss out on a lot of lively conversation. My Penguin edition, for example, includes full translations along with copious notes. And finally, one more reason why I think Villette was worth reading—Brontë’s extensive vocabulary. If I did not know the existence of half of the big words in the English language before, I do now. Forsooth! What was equally impressive was that the big words fit right in. Peace, be still! Oh! a thousand weepers, praying in agony on waiting shores, listened for that voice, but it was not uttered—not uttered till, when the hush came, some could not feel it: till, when the sun returned, his light was night to some!